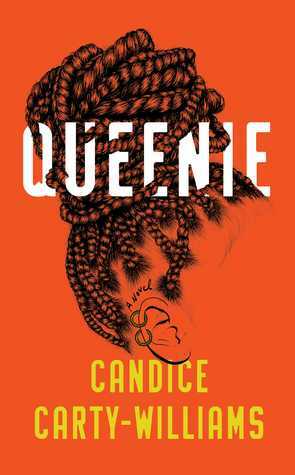 In the book Queenie by Candice Carty-Williams, Queenie is a fictional character but she’s very real. She could be our friend, neighbor, co-worker. It’s possible that you know someone like Queenie. Of course, above everything else that makes Queenie who she is, she is a human. Fictional but still human. She is also Jamaican British woman who is in the middle of a crisis. Everything in her world is falling apart. Her boyfriend, Tom, has left her. He’s white and kind of a jackass. Although she didn’t realize she was pregnant, Queenie has had a miscarriage. She’s probably going to lose her job. She has some serious issues with her mother, father, and step-father. After the break-up with Tom, Queenie starts heading down a path of self-destruction that many of us know all too well – namely unprotected sexual activity. It all becomes too much for her to deal with and Queenie has a mental collapse. On top of everything else, she has to move in with her grandparents and begins therapy. Honestly, it was the best place for her to be while she was recovering from a nervous breakdown. I liked this book quite a bit. Queenie was a hot mess; but who hasn’t been at some point? She’s so real and honest as a character that I forget that she’s not a real person. This is one of those cases where I wish that a fictional character existed. There were some friendly reminders in this book that I’d like to mention. Don’t touch anyone’s hair. Just. Don’t. If you are curious about someone’s hair, it’s better to ask questions than to invade their personal space. Just don’t touch anyone without an invitation. Treat all people like . . . well, people. I received this book from NetGalley in exchange for doing a review. All opinions are my own. Obviously.